This is the first “North Pole Secrets” sketch we ever did for Christmas Barrel, our Yuletide-themed YouTube channel that runs 24 episodes as an advent calendar every year. 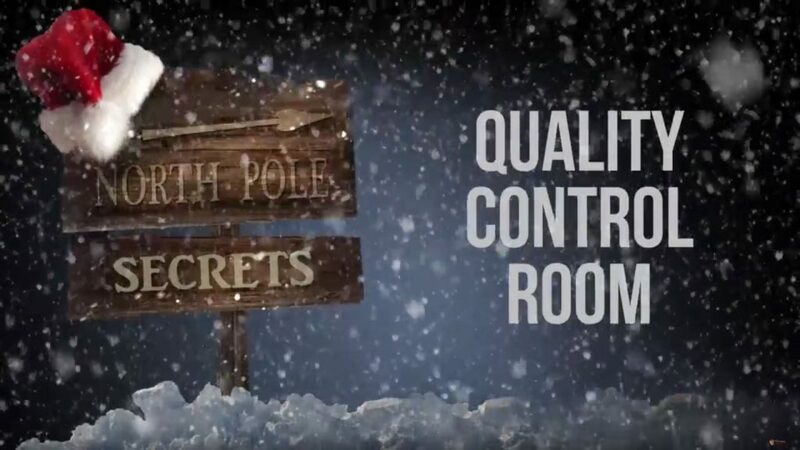 North Pole Secrets are always recorded in a single continuous shot on a green screen, unless one of the characters had to be composited in after. This was shot using my Canon 7D.